Second Half ended - Celta de Vigo 2, Barcelona 2. Offside - Celta de Vigo. Sergi Gómez with a pass, however Emre Mor is in offside. Corner - Celta de Vigo. Conceded by Yerry Mina. Daniel Wass - Celta de Vigo - won a free kick in attack. Paco Alcácer - Barcelona - won a free kick in defence. New attacking attempt. Lucas Boyé - Celta de Vigo - shot with right foot from the centre of the box is saved in the left corner. Assist - Iago Aspas with a through ball. Jonny - Celta de Vigo - receive yellow card for a foul. Aleix Vidal - Barcelona - won a free kick in defence. Lionel Messi - Barcelona - won a free kick in attack. Substitution - Celta de Vigo. Lucas Boyé for Brais Méndez. Goal! Celta de Vigo 2, Barcelona 2. Iago Aspas - Celta de Vigo - with an attempt inside of six yard box - left side to the left corner. New attacking attempt. Nemanja Radoja - Celta de Vigo - shot with right foot from outside the box is saved by goalkeeper in the centre of the goal. Assist - Iago Aspas. Missed chance. Emre Mor - Celta de Vigo - shot with left foot from a diffucult position on the left is close, but missed to the left. Assist - Iago Aspas. Substitution - Celta de Vigo. Emre Mor for Pione Sisto. Facundo Roncaglia - Celta de Vigo - won a free kick in defence. Daniel Wass - Celta de Vigo - receive yellow card for a foul. Lucas Digne - Barcelona - won a free kick in defence. Substitution - Barcelona. Aleix Vidal for Ousmane Dembélé. Missed chance. Pione Sisto - Celta de Vigo - shot with left foot from the left side of the box is high and wide to the left. Assist - Nemanja Radoja. Missed chance. Pione Sisto - Celta de Vigo - shot with right foot from outside the box missed. Assist - Stanislav Lobotka . Substitution - Celta de Vigo. Nemanja Radoja for Jozabed Sánchez. Missed chance. Iago Aspas - Celta de Vigo - shot with left foot from outside the box is very close to the goal from a free kick. Sergi Roberto - Barcelona - receive red card. Iago Aspas - Celta de Vigo - won a free kick in attack. Missed chance. Lionel Messi - Barcelona - shot with left foot from outside the box is high and wide to the left. Assist - Sergi Roberto. Offside - Celta de Vigo. Iago Aspas with a pass, however Maxi Gómez is in offside. Missed chance. Iago Aspas - Celta de Vigo - shot with left foot from outside the box is close, but missed. Assist - Brais Méndez. Offside - Celta de Vigo. Iago Aspas with a pass, however Pione Sisto is in offside. Goal! Celta de Vigo 1, Barcelona 2. Paco Alcácer - Barcelona - shot with right foot from few metres to the left corner. New attacking attempt. Paulinho - Barcelona - shot with right foot from few metres is saved by goalkeeper in the centre of the goal. Assist - Nélson Semedo. New attacking attempt. Ousmane Dembélé - Barcelona - shot with right foot from outside the box is saved in the top left corner. Substitution - Barcelona. Sergi Roberto for André Gomes. Substitution - Barcelona. Lionel Messi for Coutinho. Offside - Barcelona. Denis Suárez with a pass, however Lucas Digne is in offside. New attacking attempt. Pione Sisto - Celta de Vigo - shot with right foot from long distance on the left is saved by goalkeeper in the centre of the goal. Assist - Stanislav Lobotka. Iago Aspas - Celta de Vigo - receive yellow card. Missed chance. Jozabed Sánchez - Celta de Vigo - shot with right foot from the centre of the box is close, but missed. Assist - Brais Méndez with a through ball. Coutinho - Barcelona - won a free kick on the left wing. New attacking attempt. Denis Suárez - Barcelona - shot with right foot inside of six yard box - left side is saved by goalkeeper in the centre of the goal. Assist - Lucas Digne. Corner - Barcelona. Conceded by Daniel Wass. Pione Sisto - Celta de Vigo - won a free kick on the left wing. 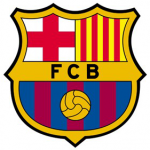 Delay in match Lucas Digne - Barcelona - - injury. Second Half starts Celta de Vigo 1, Barcelona 1. First Half ended - Celta de Vigo 1, Barcelona 1. Goal! 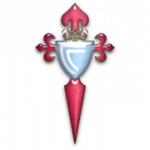 Celta de Vigo 1, Barcelona 1. Jonny - Celta de Vigo - shot with right foot from few metres to the centre of the goal. Assist - Maxi Gómez. Nélson Semedo - Barcelona - won a free kick in defence. André Gomes - Barcelona - won a free kick in defence. Missed chance. Coutinho - Barcelona - shot with right foot from outside the box is high and wide to the right after corner. Corner - Barcelona. Conceded by Jonny. Goal! Celta de Vigo 0, Barcelona 1. Ousmane Dembélé - Barcelona - shot with left foot from the centre of the box to the right corner. Assist - Paco Alcácer. Iago Aspas - Celta de Vigo - won a free kick in defence. Paulinho - Barcelona - won a free kick on the left wing. Corner - Celta de Vigo. Conceded by Marc-André ter Stegen. New attacking attempt. Brais Méndez - Celta de Vigo - shot with left foot from the centre of the box is saved in the top right corner. Assist - Maxi Gómez. Missed chance. Pione Sisto - Celta de Vigo - shot with right foot from outside the box missed to the left. Assist - Daniel Wass. Shot blocked. Paulinho - Barcelona - shot with right foot from outside the box is blocked. Assist - Coutinho. Offside - Celta de Vigo. Sergio Álvarez with a pass, however Maxi Gómez is in offside. New attacking attempt. Brais Méndez - Celta de Vigo - shot with left foot from outside the box is saved by goalkeeper in the centre of the goal. Assist - Iago Aspas. Shot blocked. Maxi Gómez - Celta de Vigo - shot with right foot from the centre of the box is blocked. Assist - Iago Aspas with a through ball. 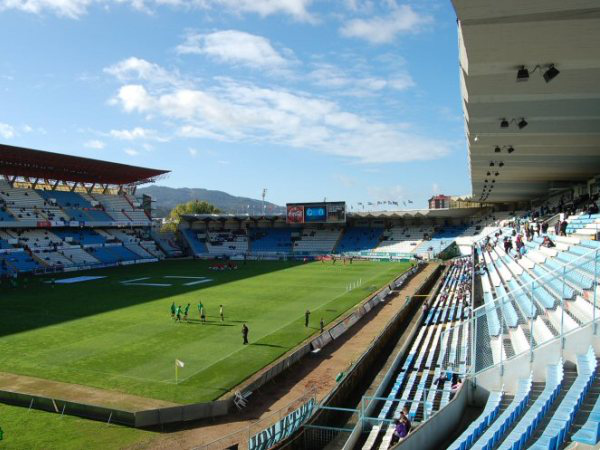 Corner - Celta de Vigo. Conceded by Thomas Vermaelen. Brais Méndez - Celta de Vigo - hits the left post with a shot with left foot from the centre of the box. Assist - Pione Sisto following a fast break. Paulinho - Barcelona - hits the left post with a shot with the head from the centre of the box. Assist - Ousmane Dembélé with a cross after corner. Shot blocked. Paulinho - Barcelona - shot with right foot from the right side of the box is blocked. Assist - Denis Suárez. Missed chance. Jonny - Celta de Vigo - shot with right foot from outside the box goes high after corner. Offside - Barcelona. Paulinho with a pass, however Paco Alcácer is in offside. Corner - Barcelona. Conceded by Sergi Gómez. Shot blocked. Ousmane Dembélé - Barcelona - shot with left foot from the centre of the box is blocked. Assist - Coutinho. New attacking attempt. Paco Alcácer - Barcelona - shot with right foot from outside the box is saved in the top centre of the goal. Assist - Ousmane Dembélé. New attacking attempt. Maxi Gómez - Celta de Vigo - shot with right foot from the centre of the box is saved by goalkeeper in the centre of the goal. Assist - Iago Aspas. Missed chance. Denis Suárez - Barcelona - shot with left foot from a diffucult position on the left missed. Assist - Coutinho. Yerry Mina - Barcelona - won a free kick in defence. Missed chance. Paulinho - Barcelona - shot with the head from the centre of the box is close, but missed. Assist - Lucas Digne with a cross. Offside - Celta de Vigo. Jozabed Sánchez with a pass, however Daniel Wass is in offside.